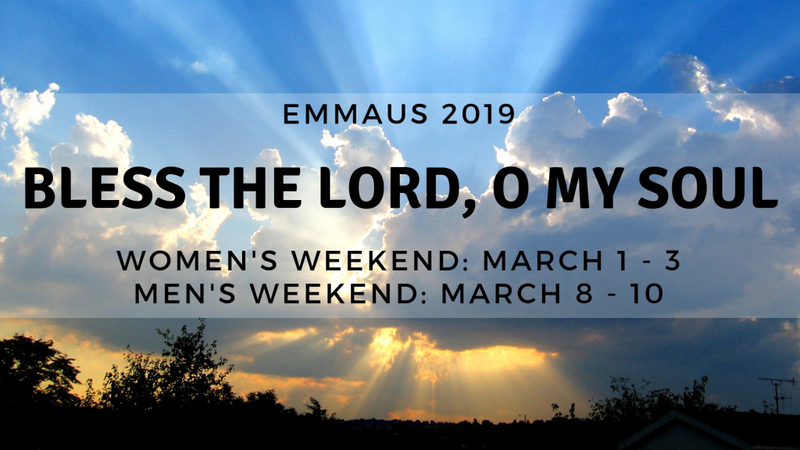 Emmaus is a weekend away from our normally hectic lives. It gives us a chance to slow down, reflect on life, meet new friends, and have fun. After a weekend of eating, sleeping, laughing, and interacting with one another, we grow closer as a community. Imagine a weekend where everything is taken care of for you. All you have to do is take the time to get to know yourself, others and your God. To cover the costs of food, supplies, and expenses, $30.00 is requested. We do not want this cost to prevent anyone from attending. If we can help with the cost, please contact us. The weekends are open to anyone 18 years of age or older. To register, complete the application process online or print out the brochure and send it in. You may also want to stop by the St. Anthony rectory, church, or school and pick up a brochure. Upon receipt of your application, we will send you information regarding further details. If you have any question or concerns, please contact any Emmaus Committee member or go to the “Contact Us” page.